Will Su, a current MS Data Visualization student, is being awarded the Information is Beautiful Award! 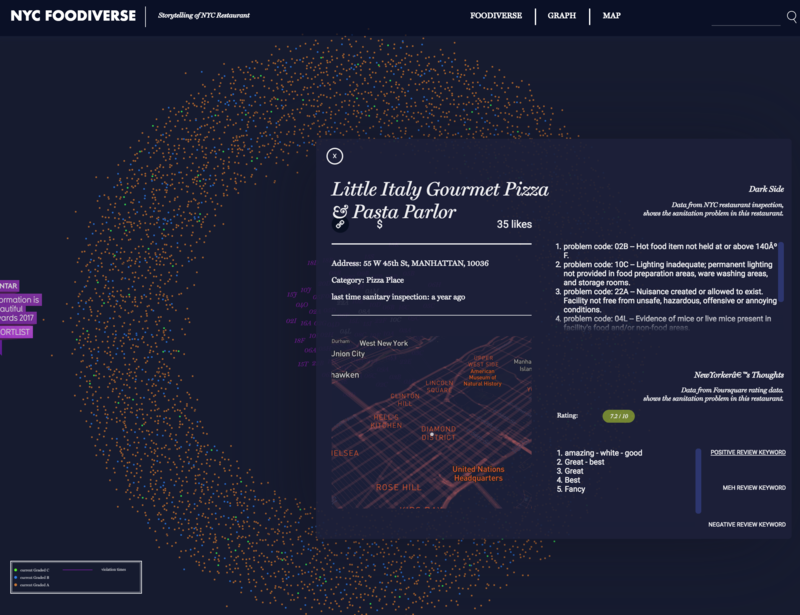 NYC Foodiverse is a data visualization experiment about inspection data and foursquare ratings for restaurants in NYC, brought to you by Will Su. 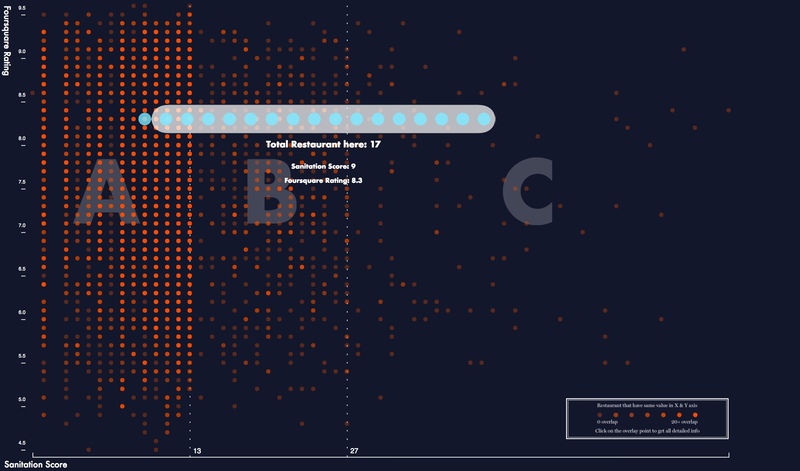 It integrates data from the NYC Department of Health and Foursquare to show restaurant grades, sanitation violations, Foursquare reviews, ratings, and price tiers. Explore the data from multiple views: a playful distribution of the FOODIVERSE, a map, or a custom graphical view, specified by choosing your own axis variables. Read more about Foodiverse at Information is Beautiful: Awards.